Michael Hofmann is a German-born, British-educated poet and translator. Among his translations are works by Franz Kafka; Peter Stamm; his father, Gert Hofmann; Herta Müller; and fourteen books by Joseph Roth. A recipient of both the PEN Translation Prize and the Helen and Kurt Wolff Translator’s Prize, Hofmann’s Selected Poems were published in 2009 and Where Have You Been? : Selected Essays in 2014. 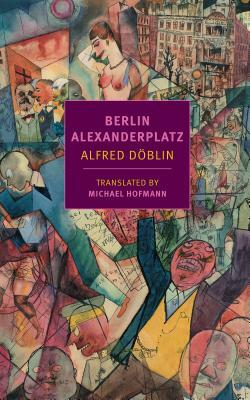 In addition to Berlin Alexanderplatz, New York Review Books publishes his selection from the work of Malcolm Lowry, The Voyage That Never Ends, and his translations of Jakob Wassermann’s My Marriage and Gert Ledig’s Stalin Front. He teaches in the English department at the University of Florida.